If we haven’t posted in some time (and we haven’t), it’s because we’ve been busybusybusy. 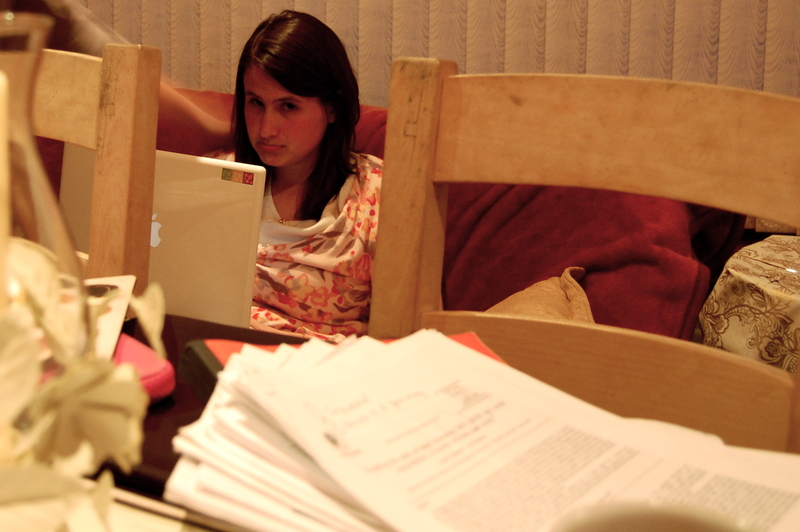 Busy working on our dissertations. 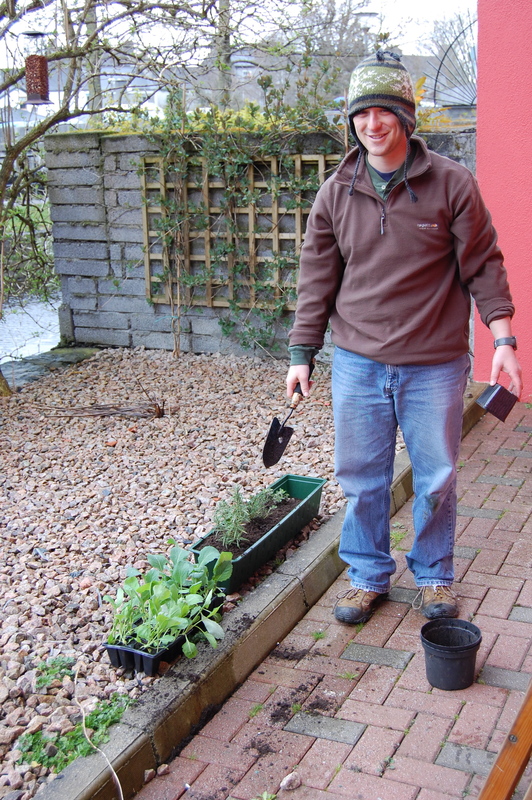 Busy tending to our little garden. 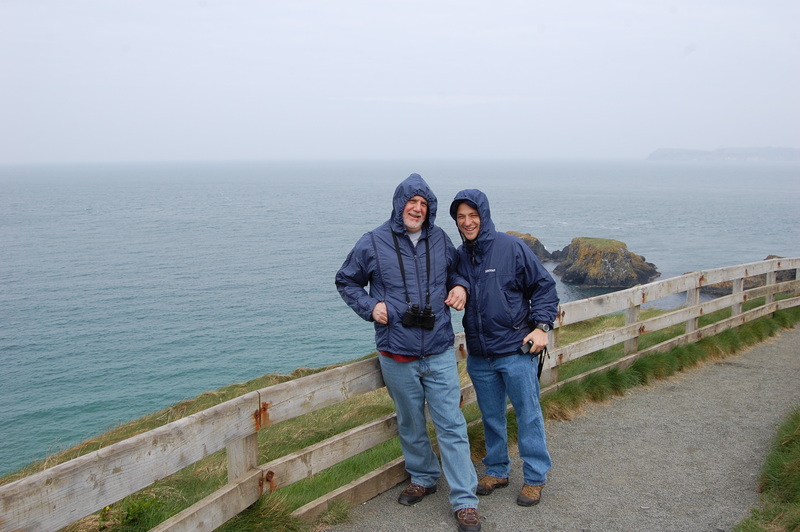 And most recently, busy bouncing around all over Ireland with our visitors, my Dad and Uncle Cliff. 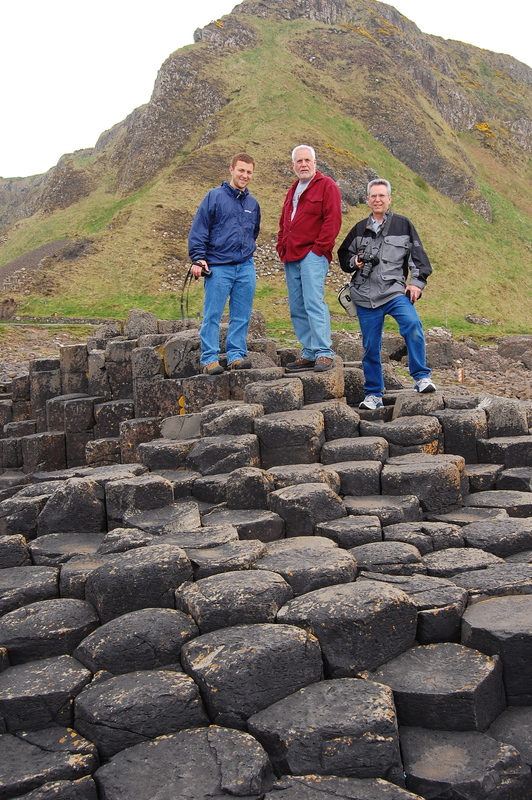 Jon, Dad, and Cliff at Giant's Causeway, Northern Ireland. More photos to come from the trip. But now, back to busily working away on dissertation stuff! This was our motto throughout Ellen’s visit to Ireland. Thinking of getting another pint of Bulmer’s at the pub? Go ahead – you only live once. Should we go to Blarney castle despite the snow and the fact that the roads are nearly impassable? Probably, since you only live once. Chat with some intoxicated guys (who all seem to be named Paddy) about politics on your way home at night? Well, you only live once. Blarney Castle, beautiful in the snow! 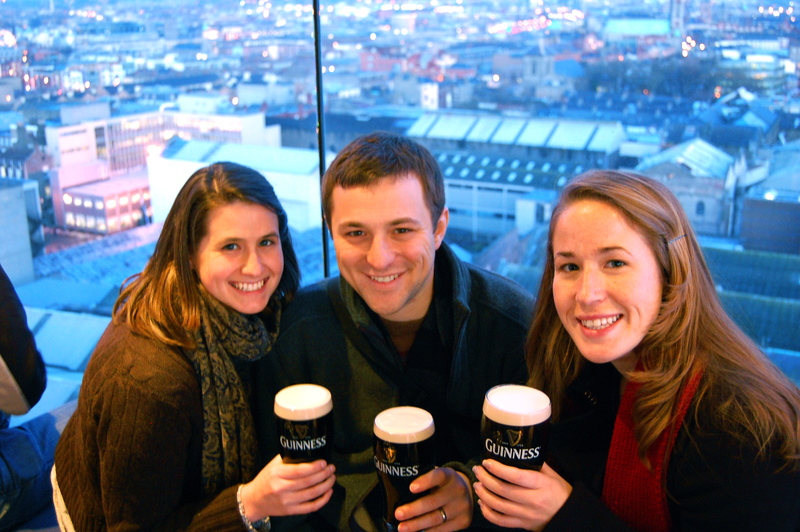 a lovely view of Dublin from the top of the Guinness Brewery. Ellen really made some tracks around Ireland during her two weeks. We spent a couple of days in Dublin, mostly sliding around on the icy sidewalks and thinking about our next cup of tea. We also visited Christchurch cathedral, the Dublin Writer’s museum, a couple of cute pubs, and paid a visit to Muireann and Liam. We had the pleasure of being accompanied by Michael and his friend Jackie, who was also visiting him. After Dublin, we took a quick trip to Cork and got to spend time with another Mitchell scholar, Jon, and explore the pleasant city. We also made a (very quick!) 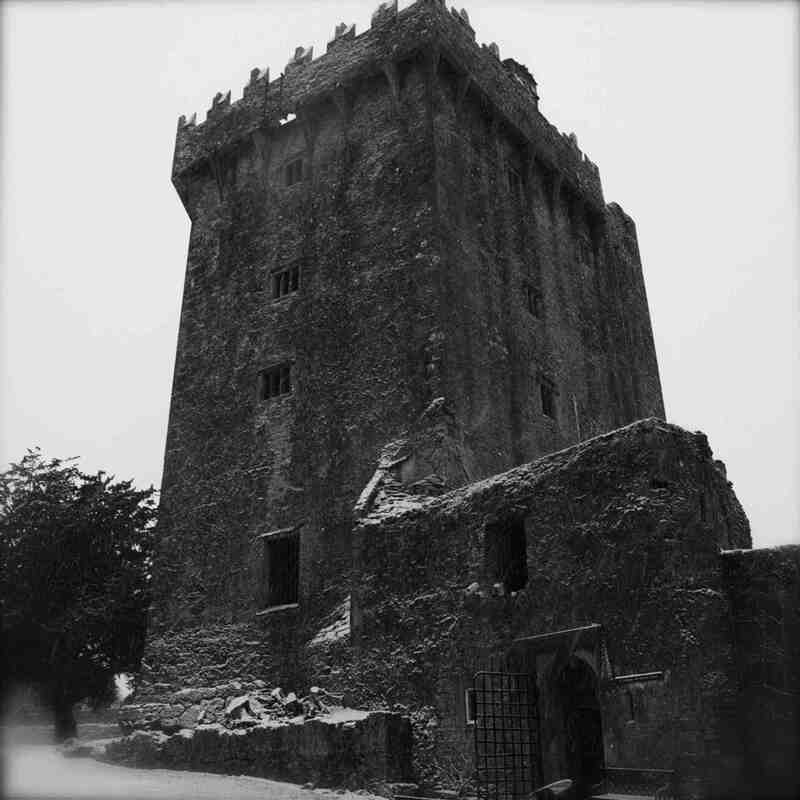 trip to Blarney Castle, which was breathtaking in the snow… but also VERY cold. Ellen later took day trips to the Cliffs of Moher and to Sligo. And how can we forget our time in Galway? We did some great ‘traditional’ Irish stuff with Ellen – traditional music at the Crane Bar, dancing at Monroe’s Tavern, walking along the Promenade, and meandering through town. All in all, it was a fantastic two weeks, and so great to have Ellen here with us. Since we lived together until I moved to Uganda, it was just like old times. Having friends like Ellen come through has reminded me and Jon how lucky we are to have such incredible people in our lives. 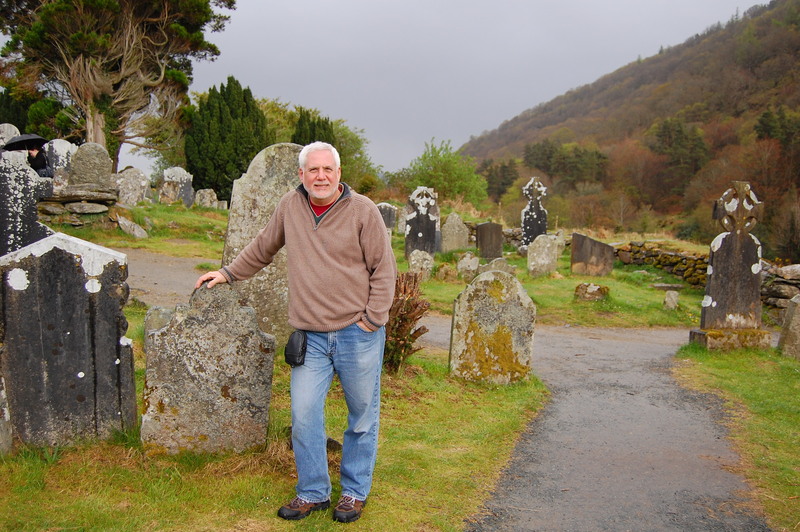 And it has given us the opportunity to get outside of our normal Galway routine and live a little more. We are blessed indeed. Belfast. Germany. Cork. London. Dublin. My past five weekends have been a little crazy. Every weekend I’ve been in another city; sometimes in another country. It’s true that I was voted “most likely to travel the world” in high school. . . However, I generally tend to do my traveling a little bit more slowly than this. Or at least stay somewhere for a week. That being said, the past five weeks have been exhilarating, fun, and at times a little stressful. One of the highlights of the past couple weeks (and the reason for a couple of the trips) was having friends Laura and Jordan come visit. The four of us make quite a set. We have matching initials (well now that we’re all married at least), we all like to eat … a lot, and we have reached a level in our friendships where it is ok to tease each other about being cranky. Now that’s love. 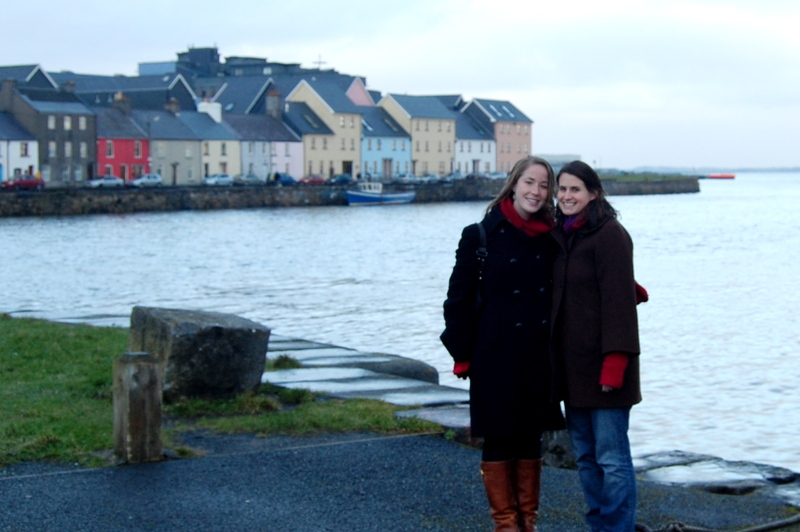 Laura and Jordan hung out in Galway while I slaved over a paper, without whining even once that I was neglecting them. Instead, they explored the city on their own and made a trip to the Cliffs of Moher (ask them about the wind!). During the weekends, however, we escaped little old Galway for some bigger cities: London and Dublin. It was Laura’s, Jon’s AND my first time in London. And boy, did we ever cram as much as we could into our four days there. From walking around its diverse neighborhoods, to seeing Big Ben, the Rosetta Stone, and St. Paul’s Cathedral with our own eyes, we were a foursome on the move. And we managed to fit in as much coffee, food, and dessert as our stomachs could handle. Of course, the trip did have its hiccups. The London Underground closed down basically all the subway lines we needed during the weekend. We got lost within the financial/diamond district during lunchtime on Saturday, when NOTHING was open and we were hungry. Etc. The little snafus add up to the beauty of travel, in my opinion, and always lead you to places you would’ve never seen otherwise. beautiful details of the gate surrounding a memorial to Prince Albert. Having Laura and Jordan here to be a part of our lives in Ireland, to visit the university and cheer me on as I finished my fourth paper in as many weeks, was such a pleasure. Getting to do London (and a bit of Dublin) was the cherry on top. It was sad to see them go! This coming weekend we’re staying in Galway. Mostly. There will be a quick trip to Limerick thrown in. But after five weeks of cross-country or out-of-Ireland travel, Limerick will be a breeze. 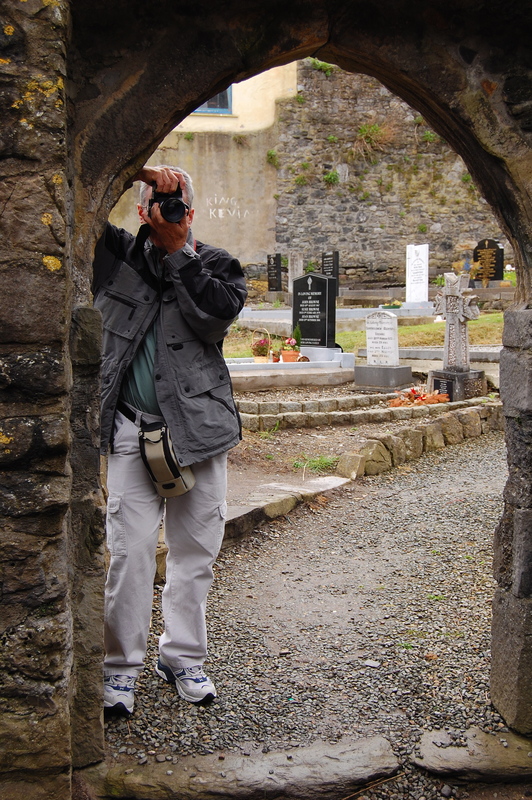 Please do check out our Picasa site to see photos from these, and other, adventures!